As summer arrives, people are looking to music festivals to enjoy the weather and the outdoors. Although the more commercial festivals are fun, the smaller festivals give a feel of quirkiness that is becoming popular. Here are 4 festivals within an hour from London. Wilderness Festival – This festival is a 4 day festival, which runs from the 4th to the 7th of August. The live music festival provides contemporary arts, theatre, craftsmanship and dining experiences. Since the festival is so unique you could spend your day; river swimming, watching a band, eating a burger and then enjoying a yoga class. 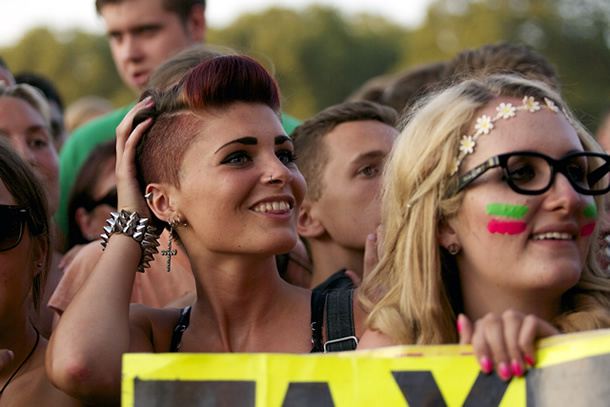 Standon Calling – This festival runs from the 29th to the 31st of July. Standon calling is a boutique festival which offers up-coming artists, acts, immersive theatre, workshops, seminars, a dog show and a fancy dress parade, plus an outdoor heated swimming pool. Festival No. 6 – This festival which runs from 1st to the 4th of September, is one of the picturesque in the UK festival scene. It is an annual art and music festival and includes a wide variety of music from rock and roll, folk, house, techno and dance.